A hilly region along the Adriatic coast backed by imposing mountains, Molise is marked by numerous waterways that run from the Apennines to the Adriatic Sea. Water sports can be enjoyed at the coastal areas. There are also ski slopes in the mountains and beautiful natural sites, where the wildlife has been preserved, plus thermal waters at the ancient site of Sepino. Molise has suffered from mass emigration in recent years. Some of the towns are nearly deserted. Agriculture has dwindled in this area, though farming is still largely relied upon for sustenance. Some excellent art and architecture can be found in Molise. Examples of medieval and baroque architecture can be seen throughout the region, especially in its capital, Campobasso, where there is a 15th century castle. 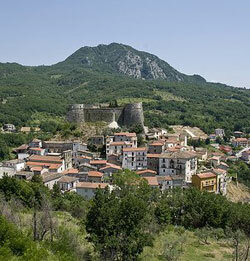 The medieval hill towns in the vicinity of Larino are very attractive. Molise is the newest Italian region, designated as such only in 1963 when it was formally separated from neighbouring Abruzzo. It is divided into two provinces: Campobasso and Isernia. Situated in a fertile valley in the province of Campobasso, some miles northeast of the capital, Larino is a town and commune with a population of about 7,000. Larino is a very old town; there are a lot of Roman ruins here?and some from other eras as well, as the Carthaginian general Hannibal fought the Romans in what was then known as Larinum. The town was also devastated by an earthquake in the 14th century, then sacked by the Saracens not long after. A few hundred years later, a plague wiped out nearly the entire population, but once again the community regrouped and rebuilt itself. Agriculture is a top industry here?Larino is a top producer of wheat. There is a great, 14th century Gothic cathedral in the heart of the old town, as in typical medieval fashion the town is centred upon its place of worship. The new town, Piano San Leonardo, consists of luxurious homes along a mountainside and a top hotel. Larino also has a large modern hospital. Termoli Beach on the Adriatic is not far away.